The AVG antivirus features as one of the top antivirus software as it has all antivirus software needs to provide the right kind of protection. A built-in file shredder is one of the most attractive features of this antivirus software. Performance wise, AVG antivirus has some good reviews for its features, but the functionality is slightly debatable. The digital skeleton in one’s computer can be efficiently protected by the built-in file shredder feature of the AVG AntiVirus FREE. Read on to know more about the features, setup, protection, and performance of the AVG AntiVirus FREE. It lacks in possessing features like parental controls and safe banking mode. The setup of any antivirus software broadly involves getting familiar with the interface and successfully completing the installation process. The primary step in protecting your computer with the AVG AntiVirus FREE is to download the 3.3MB installation file. The installation process has an easy step-by-step guide and runs a quick malware scan. It is recommended that you activate the Computer and Web & Email Shields while completing the installation process. The placement of this software is not an issue, you can place it at your desired location. However, the data-collection program must be activated during the installation; you can later deactivate it from the privacy settings. As the process is quick, it takes anywhere from 7 to 8 minutes to complete the entire download and installation process. The software works on a dark theme, but the green and white font increases the readability for the viewer. As for the interface, it takes up two-thirds of your screen and can be moved around but not resized. The Computer and Web & Email windows will display green checkmarks on the word “PROTECTED” when the PC is safe. If you wish to protect the private data and payments, you will need to upgrade to the paid version of the software. The AVG AntiVirus FREE software is available for operating systems like Windows, Mac, Android, and iOS. The AVG AntiVirus FREE is power-packed with features like Computer Protection, Web & Email Protection, Hacker Attacks Protection, and Whole Family Protection. The privacy and payments protections are only available under the paid protection version. The Computer Protection feature entirely protects the computer from viruses, ransomware, spyware, rootkits, Trojans, and other malware. The USB and DVD connections to the computer are also protected by the antivirus. Web & Email protection destroys the emails that come with a malware attachment. The real-time link and download scanning add efficiency to the protection. The Hacker Attacks Protection works by activating a firewall that keeps hacking and ransomware attacks away. A single subscription to the AVG antivirus can protect all the devices owned by you and your family. Similarly, an added protection to your mobile is included in the Antivirus for Android. The AVG antivirus provides many different products including AVG AntiVirus FREE, Internet Security, Ultimate, Antivirus for Mac, and Antivirus for Android. Apart from all the basic features provided by the AVG AntiVirus FREE, the AVG Internet Security offers an enhanced firewall, antivirus PRO for Android, and payments protection with the removal of fake websites. It is priced at $70 per year approximately. 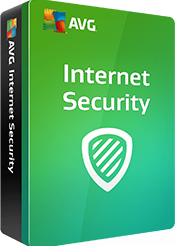 The AVG Ultimate includes all the features of the AVG Internet Security and is priced at $100 per year approximately. It also includes a live phone or chat support, Mac and Android apps, automatic access to all the tuning updates, and an access to tune up all PCs from one screen. The Antivirus for Mac and Android are free variants which include similar features to the AVG Antivirus for Windows. The paid upgrades for Mac are similar to the different types of products for Windows. The AVG AntiVirus FREE has a technology that is similar to other antivirus companies. It follows a traditional scanning engine, which works on technology that matches suspicious codes with known malware and blocks the unknown ones. The software also comes with an in-depth heuristic monitoring that gauges the zero-day malware. If the software comes across something that looks suspicious and new, an upload to AVG’s online analysis is immediately affected. The antivirus software also keeps a backup of the data including your program usage and web history, however, you can opt out of this feature. The Web & Email protection feature does not resort to only scanning email attachments, it also keeps you safeguarded from the phishing websites after scanning their reputation and history. Unfortunately, the software does not have a setting that allows you to turn off the active scans and user notifications. You are distinctly allowed to adjust the intensity of heuristic scanning and turn off only a few features like script scanning and library sharing. Most of the lab tests have suggested that the software ranks among the top antivirus protection providers. Although the AVG AntiVirus FREE has a few drawbacks that stop it from being the absolute excellent antivirus software, it is a good choice for the protection of your computers and smartphones.